A new premium Vodka brand has hit the South African shelves—created and marketed by five South African entrepreneurs! Launched in September, Distinkt Vodka, the first black-owned vodka brand in the country, is the brainchild of Kagiso businessman Sibusiso Sibisi, a chemistry graduate, after Sibisi and a few of his friends saw a gap in the market and identified an opportunity to create a legacy for themselves and their families and their next generations. Distinkt Vodka has just recently obtained certification by the SA Bureau of Standards (SABS), which means that the vodka meets the bureau’s quality standards. In an exclusive interview with Sibisi, he told BBQ that it took them three years from concept to producing and launching this special brand. But why vodka, one might ask. “According to our research into the alcohol industry we realised that Vodka was the best selling alcoholic drink and it appealed to a large spectrum of the legal drinking population, so to ourselves this was the perfect entry product into the liquor industry. We realised that the liquor industry was a multi-billion rand industry in South Africa, but unfortunately we import most of the alcohol. "We are one of the leading alcohol-consuming countries in the world, but we don’t have much stake in the alcohol industry. “We also targeted vodka because it was an easily accessible drink of choice for most people, starting from young entry-level employees to company executives. It was also easier and quicker to make than other drinks like beer, cognac and whiskey,” says Sibisi. He told BBQ that it takes a couple of hours to mash raw materials together, boiling it in extreme temperatures and later it gets fermented to up to six hours. This is followed by filtration, a process which is done three times. The distillation process, which takes two hours, is done three times to make sure that the right quantity of alcohol has been used. Distinkt Vodka, which has an alcohol volume of 44%, is a social movement and a lifestyle, says Sibisi, who believes that Africans can, and should be producing products of international standards. 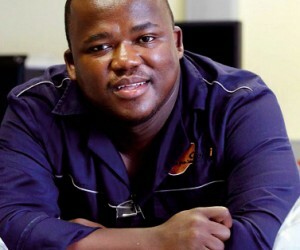 When Sibisi first embarked on his vodka making venture, he says he first developed a prototype in one of his previous employer’s labs, using potatoes as raw materials and, he says he was in love with the taste from the onset. In each of the processes the main thing on his mind was the African consumer and what they want in their vodka of choice. Today he mixes his chemicals at a Durban laboratory sponsored by the University of KwaZulu-Natal, where he also works. His friends were responsible for marketing, managing finances and other technicalities including market studies. Yet Sibisi says starting off in the liquor industry as a black person was not easy, as finances, access to markets and all the difficult legislation attached to getting the product on the shelves, were the biggest challenges to overcome. Referring to the brand’s unusual name, Sibisi says all the brand creators are passionate about Africans doing things for themselves. So to make sure that they were on track and in trend with their ideas, they did a market study to understand how their potential clients would respond to their vodka. “Previous studies have showed that brands with African names don’t usually sell as much as they should in South Africa. We used an English word for ours but then broke it [by using a K instead of a C] to show that we do not conform to anybody’s standards.” According to Sibisi, they are hoping to get a share of South Africa’s liquor market, which in 2009 was valued at R57.3 billion and is dominated by liquor giants including SAB Miller (Castle and Lion Larger, Miller as well as Peroni), the Distell Group (Three Ships Whisky, Oude Meester, Bisquit Cognac and Brandhouse Beverages such as Cîroc, Johnnie Walker and Smirnoff). 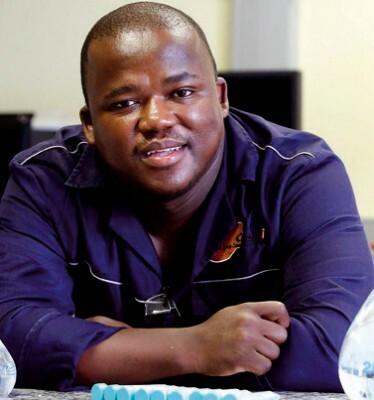 Sibisi says vodka is only the beginning for them and they are targeting vodka as their entry product into the local alcohol industry, and eventually, the rest of the African continent. To do this successfully, South Africa’s newest vodka entrepreneur believes that it counts in their favour that they have an opportunity to build everything from scratch (brand, name, image and marketing strategies) and in the bigger scheme of things they believe that by getting their marketing strategy right, they will indeed be able to win over the market. Part of this strategy will be to leverage the power of social media and the celebrity culture by bringing on brand ambassadors. As opposed to popular belief, vodka does go bad if stored for longer periods of time. Ideally, vodka has to be consumed within 12 months of the manufacturing date! Up until 1885, vodka was only sold in 12.3 litre buckets–and even still, it was a very popular drink. Thankfully, smaller bottles were introduced so that we don’t spend the early part of our work week coping with a massive hangover. October 4th is National Vodka Day. While traditional vodka has exactly 38% alcohol, the European Union recognises any such drink with more than 37.5% alcohol content as vodka. On the other hand, all vodka sold in the United States has to have 40% or more alcohol content. Due to the high production and consumption of vodka in America, countries like Russia, Ukraine, Belarus, all Nordic and Baltic countries, Poland and areas of Slovakia and Hungary, these regions constitute the Vodka Belt. While this drink is normally associated with Russian culture, the first version was actually brought to Russia by Italians early in the 15th century. The first variations of Russian vodka were meant for medicinal purposes. It is also reported that Polish vodka was scented and used as aftershave! According to some historic accounts, vodka was used to make gunpowder in Sweden in the 15th century! While clear vodka is very popular, its flavoured versions are also widely available. Some of the best vodka flavours are red pepper, ginger, varying fruit flavours, vanilla, chocolate (unsweetened), and cinnamon. Please elaborate on your journey from being a graduate chemist to an ambassador for the country’s first black-owned vodka. When I graduated I went into the chemical industry and worked as a laboratory analyst, a laboratory supervisor and laboratory manager. Throughout my career I have always been a trendsetter and have introduced a lot of new things in the companies I have worked for. At the same time, I pioneered the birth and rise of Rawkasi Events, which was the first entertainment company in the Westrand to organise a boat party on the Vaal Dam, and the first to organise successful backyard and two dance floor parties all across the Westrand. In 2012 I started working on the development of Distinkt Vodka and this was influenced by the fact that all the time I was doing all these events, big alcohol companies benefited more without doing anything. And that sparked the idea to have our own brand. What are your personal strength and weakness in business? My biggest weakness is that I am a people’s person. My strength is that I am street-wise.